See "Removing the Battery Pack" on page 34. 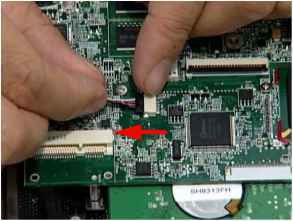 Remove the securing screw as shown. NOTE: The antenna cables were removed during the LCD module disassembly. 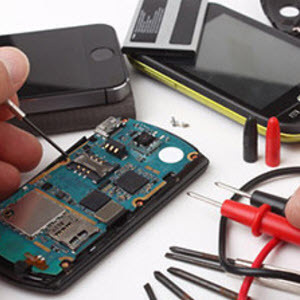 See "Removing the LCD Module" on page 41. 3. The module pops up. 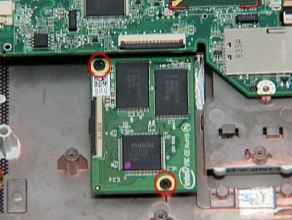 Remove it from the mainboard as shown. Remove the upper cover. See "Removing the Upper and Lower Covers" on page 38. Remove the three (3) securing screws as shown. 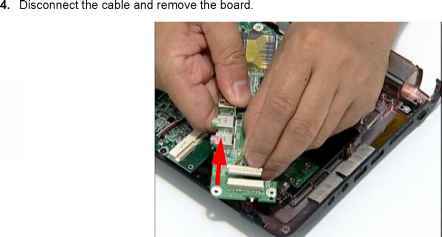 Lift the board to expose the USB/LED/Power board to mainboard cable. IMPORTANT:The SSD module is only available on the Aspire one SSD SKU. Remove the mainboard. 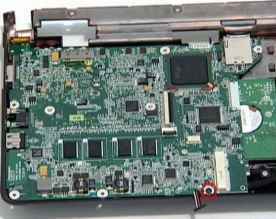 See "Removing the Mainboard" on page 54. Disconnect the FFC from its connector. Disconnect the FFC cable from the module. 4. Remove the two securing screws. 5. 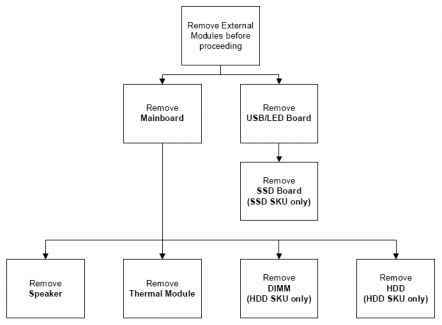 Remove the SSD module. Remove the WLAN module. See "Removing the WLAN Module" on page 50. Remove the USB/LED/Power/Card Reader Board. 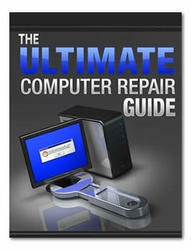 See "Removing the USB/LED/Power/Card Reader Board" on page 51. Disconnect the speaker to mainboard cable. 5. Remove the single securing screw. 6. Grip the mainboard and remove. NOTE: The SSD image may differ from the following illustration. 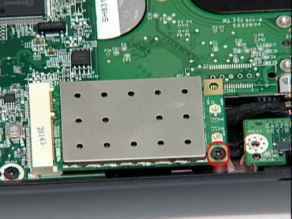 How to remove a cardreader from an acer aspire motherboard? How to replace harddisk aspire 7740g?